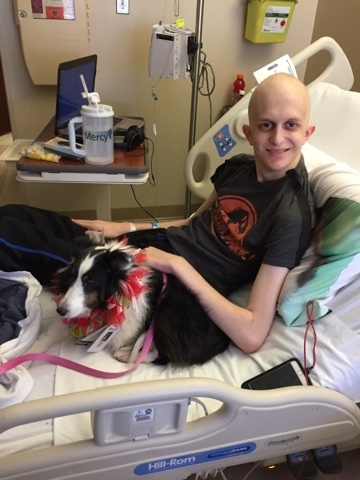 Kacey the Therapy dog came to visit Robbie today. Very sweet dog! A friend of Robbie’s from OSSM (his high school) is a friend of Pam and Kacey. The best smile today!